Two recent cases, State of North Carolina v. Alcoa Power Generating, Inc., 5:13-CV-00633 (E.D.N.C.) (September 28, 2015) and Nies v. Town of Emerald Isle, __ N.C. App. ___ (November 17, 2015) address ownership of riverbeds and ocean beaches. These are complicated and increasingly important issues and lead to a two-part blog entitled Water and Land. A person looking at a North Carolina Transportation Map finds that the water flowing into High Rock Lake is labeled “Yadkin River” and might assume that the State of North Carolina owns the Yadkin River bed within the Lake. But the assumption would be mistaken. In State of North Carolina v. Alcoa Power Generating, Inc., (September 28, 2015), the United States District Court for the Eastern District of North Carolina considered whether the State of North Carolina or Alcoa owned the forty-five mile long segment of the Yadkin River roughly beginning at High Rock Lake and traveling South along the river. After several hearings, the Federal District Court held that: (1) the State of North Carolina failed to show ownership of the Yadkin River riverbed and (2) Alcoa showed that it owned the riverbed by means of proving title using the North Carolina Marketable Title Act and adverse possession. Accordingly, the Court ruled “that Alcoa has title to the bed” of this forty-five mile segment of the Yadkin River. Under Federal law, when North Carolina became a sovereign state (1789), ownership of all land underneath navigable waters was automatically vested in the State of North Carolina. After conducting a bench trial on the issue whether this portion of the Yadkin River was navigable-in-fact at the time of statehood, the District Court concluded that the State of North Carolina had failed to prove that the forty-five mile segment of the Yadkin River was navigable-in-fact at the time of statehood. Specifically, the Court noted that approximately three miles of the segment of the river was characterized by the Narrows, which was a gorge that compressed 1000 feet of riverbed to a channel roughly 100 feet wide and at the bottom of the Narrows were two waterfalls each with a roughly seven foot plunge. The State produced no evidence that this portion of the river was navigable at statehood and the State conceded that the Narrows and Falls always had to be portaged. In short, the State could not prove that the entire forty-five mile segment was navigable in-fact and its claim of ownership failed. On the other hand, Alcoa produced evidence of record title ownership of 99% of the forty-five mile segment and evidence that it adversely possessed the entire segment. Accordingly, the District Court concluded that Alcoa owned the riverbed in this forty-five mile segment of the Yadkin River by the means of record title, North Carolina Marketable Title Act and North Carolina law of adverse possession. The law of proving title to real property is arcane. The Alcoadecision is quite instructive as to the intricacies of various means to prove title in court and the burden of pleading ownership of real property. Once a party alleges ownership, the party must prove ownership of the property the party alleges it owns. Because vesting ownership of beds of navigable water bodies is triggered by a state becoming sovereign under the Constitution of the United States, proving ownership by this mode of transfer is controlled by Federal law. Federal law requires a state to prove that at the date of statehood a water body was navigable, in fact as a highway for commerce over which trade and travel may have been conducted in the customary modes of that time. In many cases involving segments of rivers located far from the coast, it will be impossible to satisfy this burden of proof. On the other hand, the public trust doctrine concerns the public’s access to waters above riverbeds for the purpose of navigation, fishing, and other recreational uses. Federal law provides that the public trust doctrine is controlled by state law and does not depend upon the United States Constitution. States retain residual power to determine the scope of the public trust over waters within their borders. 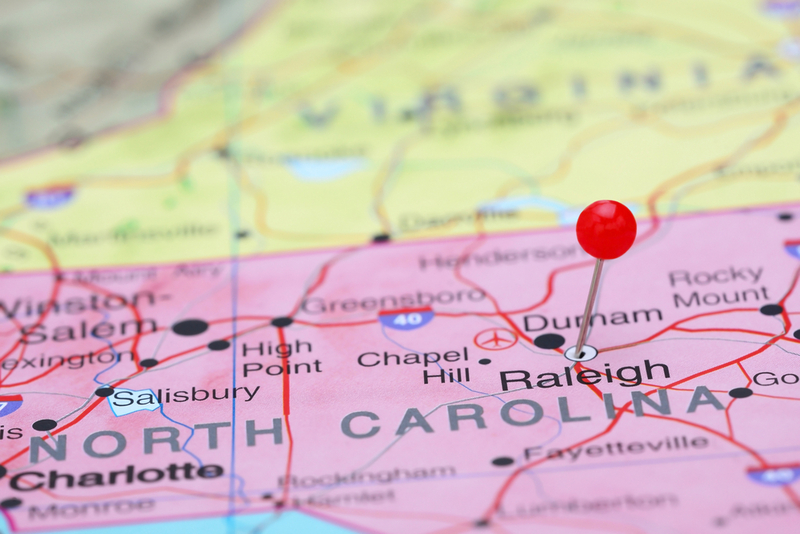 Part II addresses the recent North Carolina Court of Appeals’ decision applying the North Carolina public trust doctrine to North Carolina beaches.